Covering roughly eight acres, Emerald Mound is truly astonishing to behold! A must-see on the Mississippi Mound Trail, it is the third-largest pre-Columbian earthwork north of Mexico (after Cahokia's Monks Mound in Illinois and Poverty Point's Mound A in Louisiana). From the parking lot, visitors can walk an accessible path to the top of the main platform and from there can climb the steps to the top of one of the two remaining secondary mounds. As Emerald is situated on the highest point in the surrounding landscape, it is worth a climb to the top to take in the view. Travellers' accounts beginning in the early 19th century describe Emerald as a large primary platform surmounted by eight secondary mounds. Two of these secondary mounds remain - one at either end of the platform. The remaining six would have been located along the platform's north and south edges - three on each side—leaving the central portion of the platform open. The first known archaeological excavations took place here in the late 1880s and the most recent in 1972. These excavations have determined that the main platform was constructed in three stages beginning around AD 1350, but that the mound is located on the site of an earlier (ca. AD 1200) Mississippian village. 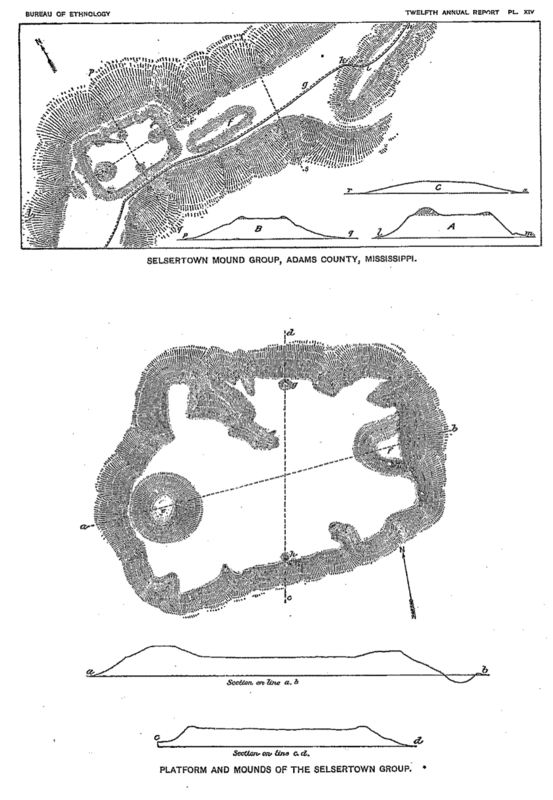 The first and second mound stages both had at least two secondary mounds with buildings on their summits. Artifacts associated with the second stage suggest that the building on the eastern mound may have been residential in nature, while the building on the western mound may have been ceremonial. 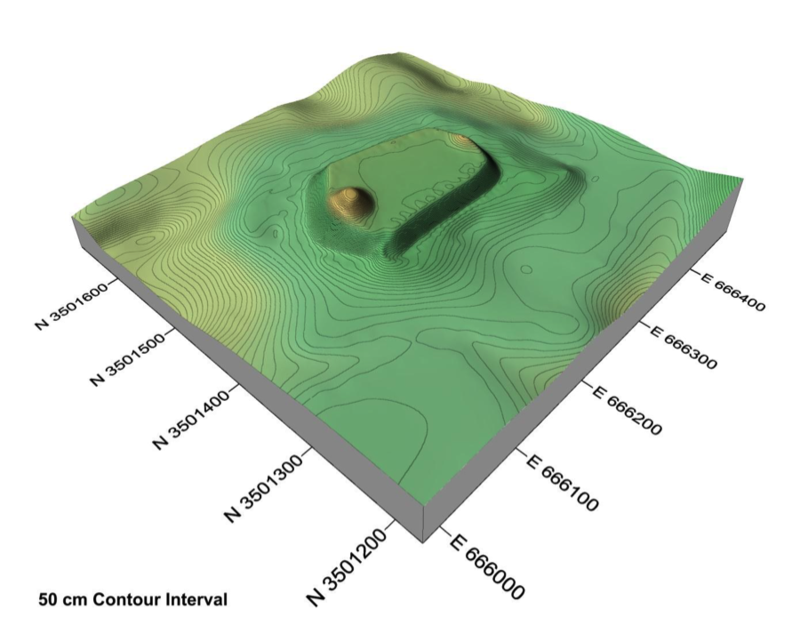 During the third and final stage of mound construction, the secondary mounds at either end were enlarged, and at least six additional mounds were constructed along the perimeter of the platform. 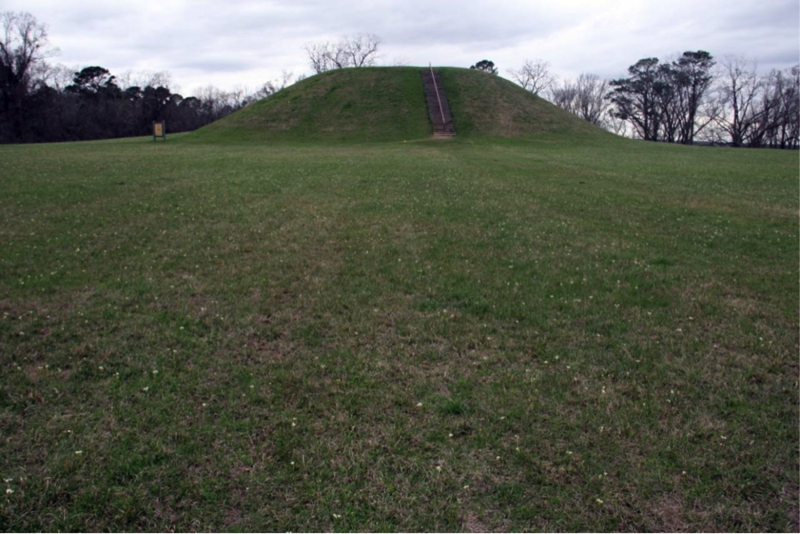 Emerald Mound was the principal town of the Natchez Nation before about AD 1500, when the capital was moved to the Grand Village of the Natchez Indians. As such, it was home to the most important political and religious leaders of the tribe. Its commanding location on the route of the Natchez Trace made it an effective seat of government for the surrounding region. The main platform and secondary mounds were restored to their original dimensions by the National Park Service in 1955. In recognition of its outstanding significance, Emerald Mound has been listed on the National Register of Historic Places and designated a National Historic Landmark by the U.S. Department of the Interior.